13.5”L x 11”W x 6.5”D. 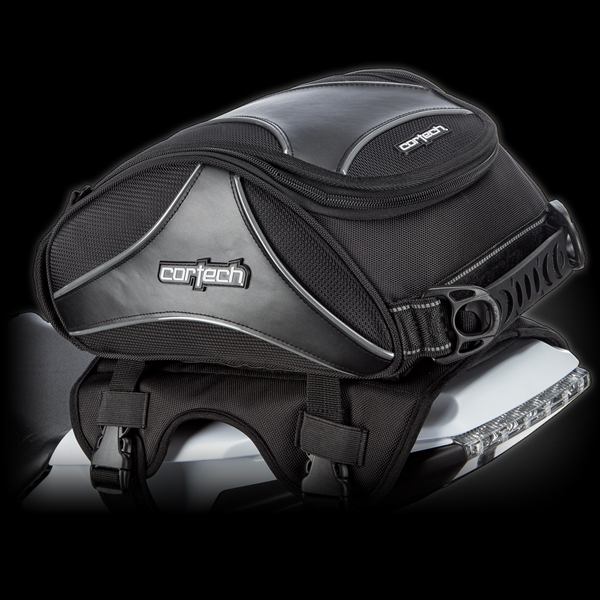 • Will mount to Cortech 2.0 Sport Saddlebags or by itself. • Main compartment with snap lock zippers. • One-way zipper on main compartment with "Zipper Garage" for concealment. • Reflective piping and logo to help increase visibility. • Cortech jacquard weave shoulder strap.